VITA Technology fits into 5 categories: core technology, interconnects and fabrics, mezzanines and modules, support and packaging, and systems. 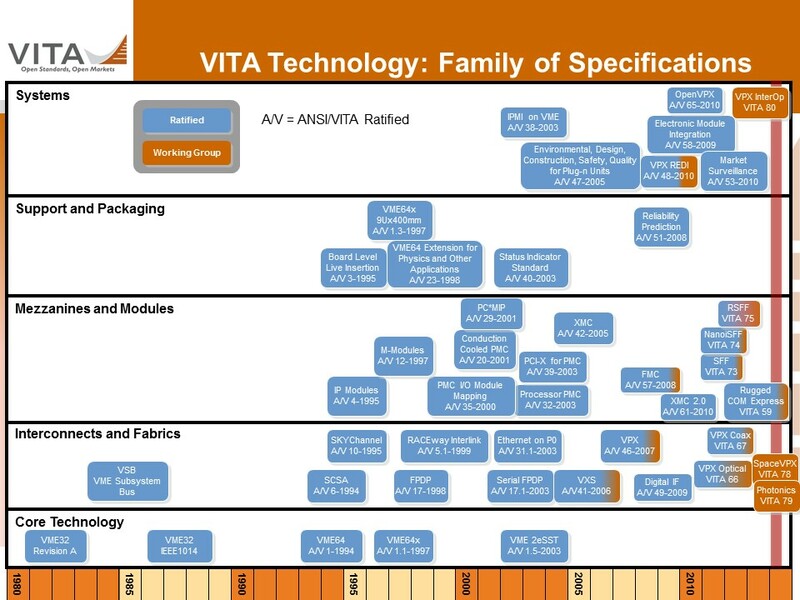 The VITA Technology Family diagram below shows these categories with the specification as they develop over time. The parallel bus continues to evolve, from the original VME32 circa 1982 to the latest VME2eSST. The addition of serial fabrics to enhance the parallel bus is reflected in today's activity with VPX. While the VMEbus itself has substantial bandwidth, designers have sought faster, dedicated channels for tasks with intensive data movement. VSB, SKYchannel and RACEway were some of the parallel bus options developed. 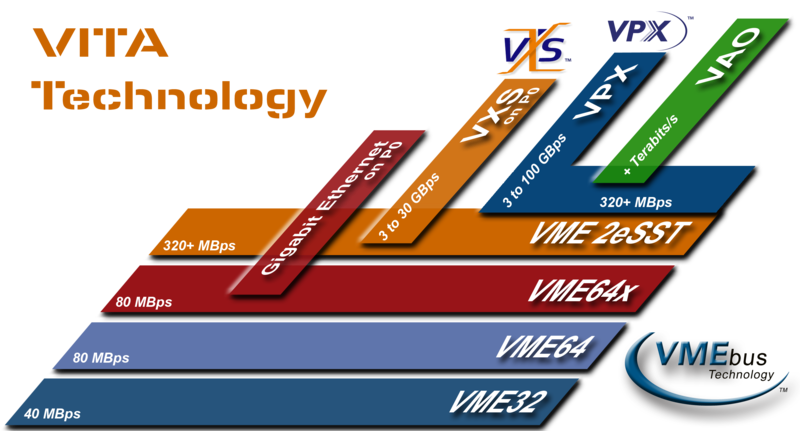 Today's specifications use serial fabrics, such as Ethernet on VME64x and newer serial fabrics called for in VXS and VPX.